You're an artist, not a marketing expert. Right? Yet, you know you must get a handle on social media marketing - and do it in a way that doesn't conflict with your personal and artistic principles. 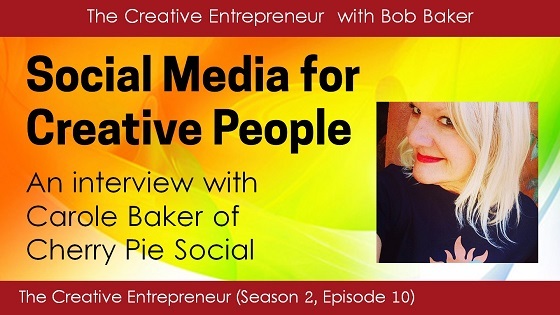 Listen in on my conversation with Carole Baker of Cherry Pie Social as we cover the best ways for artists to approach a social media outreach plan. Carole Baker's Cherry Pie Social site. Also follow Carole on Twitter here and here.